Yet another handball party in Stockholm! All handball friends are dearly invited to this years major handball event in Stockholm – Eken Cup. 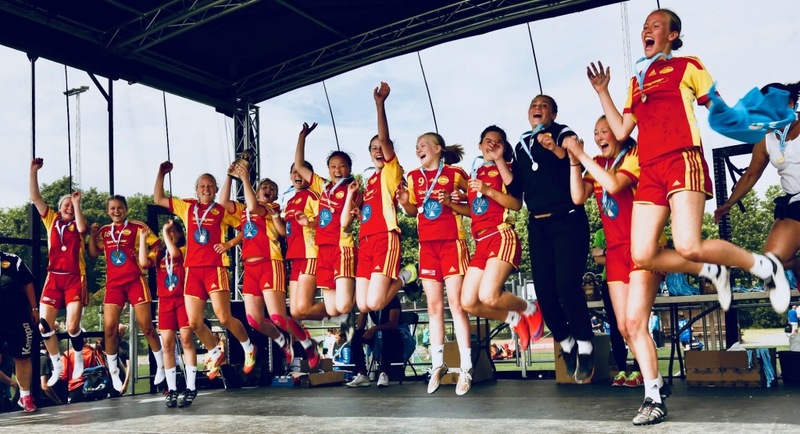 The conditions are the same as previous years – lots of handball on lots of playing fields in the beautiful green “Gubbängsfältet” south of Stockholm. Our idea is to keep everything in one place so that there will be as little transportation as possible. We continue our efforts into making this an international tournament and we hope and believe that the investments we’re making will continue to bear fruit. A lot of fun things happen during Eken Cup. 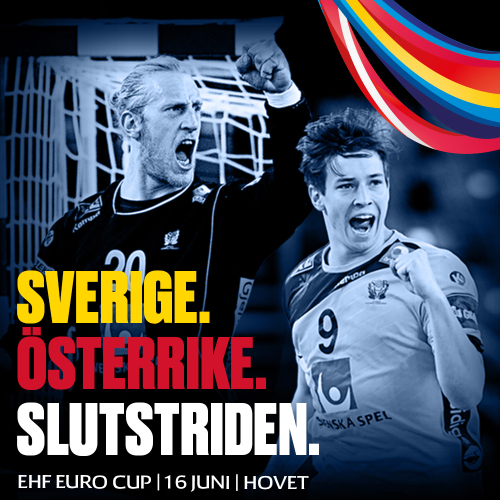 Swedens national team will face Austria in the EHF Euro Cup the 16th of June during Eken Cup 2019. A great oppurtunity to see world class handball! Eken Cup primary uses the schools around Gubbängsfältet. Depending on the amount of participants with guest cards we’ve also used schools inside Stockholm City. Of course, still with fast metro connections to the Gubbängsfältet. Our ambition is to always keep the schools were participants sleep close to the main field. Intensive days in the fresh air requires that the players are eating plenty and nutritious food. Eken Cup has professional staff in the kitchen that knows how to cook good quality food for many people. The summer in Stockholm has a lot to offer to all ages. If you want to enjoy yourself why not visit the amusement park Gröna Lund or the animal zoo Skansen. If you are eager to learn about Stockholm take a guided tour by boat or bus or make your own adventure by riding the metro. There are many beautiful public baths, both indoors and outside. If you want to shop then both the Old Town and Down Town is the place to go. Eken Cup guest service will help you find your way in Stockholm. 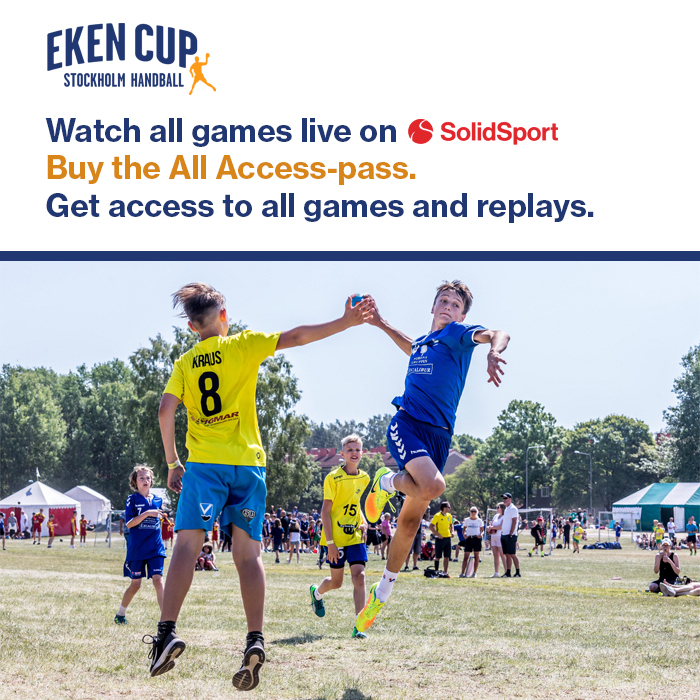 Eken Cup wants you to be able to see and enjoy not only the handball but the city of Stockholm as well. 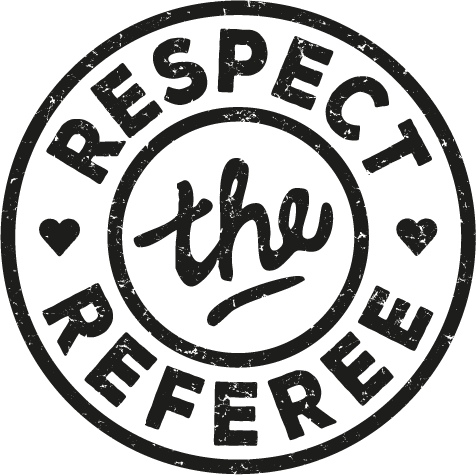 Therefore, we try to put your matches in the morning or in the afternoons so you should have time for other things than handball. We can also offer a service for baggage transport to and from the boats and airports for those who have a guest card. Just let us know.